United Launch Alliance (ULA) has now assumed responsibility for the marketing and sales of Atlas V from Lockheed Martin Commercial Launch Services. In addition to performing all of the operational activities related to Atlas V launch services, as ULA has done since the company's formation in 2006, ULA now has the full authority to market and sell Atlas V launch services to commercial customers. ULA is an industry leader in mission and schedule reliability, building on a successful heritage of nearly six decades. ULA’s Atlas V has flown 75 missions with 100 percent mission success, from numerous GPS satellites flying today to exploring the solar system and beyond, and has the highest reliability with the lowest insurance rates in the industry. ULA offers extensive experience from a long heritage of launching communications and Earth imaging commercial missions for customers around the world. Tom Tshudy, ULA’s vice president and general counsel, will lead the new global commercial sales organization. Before joining ULA, Tshudy served as senior vice president and general counsel for International Launch Services (ILS) as well as Vice President and general counsel at Lockheed Martin while ILS was a subsidiary to sell and market launch services using the Atlas II, III and V launch vehicles. Tory Bruno, ULA’s president and CEO, noted that the company has undergone a tremendous transformation over the last two years. With ULA's innovative techniques, coupled with world-class reliability and schedule certainty, the company is well positioned to offer Atlas V launch services to current and potential commercial customers. ULA will serve as a business partner committed to building a launch strategy that maximizes the commercial provider’s profits and positions them above their competition. The value of a launch is a lot more than its price tag. ULA Atlas V launch services help customers capture savings and added value by delivering spacecraft to orbit earlier, extending mission life, and providing unsurpassed schedule certainty. Lockheed Martin’s Commercial Launch Services organization served their customers well with a flawless record of mission success and strong customer partnerships for more than a decade. 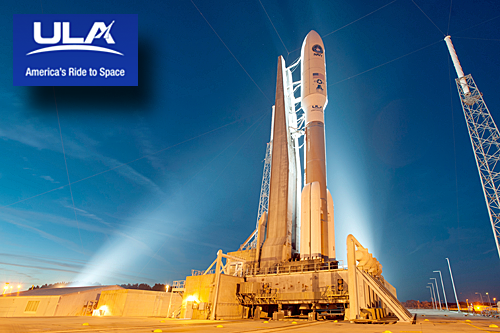 ULA looks forward to continuing that legacy of performance, service and precision.